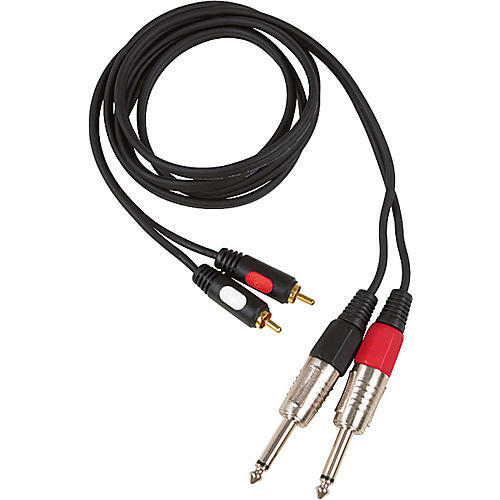 AV Link Dual RCA - 1/4" Cable 1 ft.
Cables that make a difference. quality. Using solid PE or foamed PE to insulate, it has a low dielectric constant to ensure low capacitance and to transmit with high fidelity. Spiral shield or multi-layer braiding and 100% conductive PVC shield minimize circuit interference. A magnetic ring and inductance are added to further eliminate interference to signal transmission, thus ensuring a high signal-to-noise ratio.